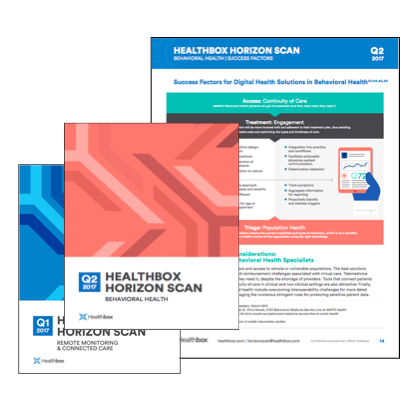 At Healthbox, I was tasked at launching and managing Horizon Scan, a platform aimed at helping healthcare organizations find and select digital health companies for partnership. Key work components involved articulating the value proposition to stakeholders, managing a vendor to build out the Salesforce Community site, interviewing and onboarding over 80 users, training sales team members, creating and conducting demos, and leading a research team to create over 70 company profiles and 3 quarterly reports. Both the report content and a social community platform was housed on a Salesforce Community site. I worked with an external vendor to launch the site in 6 weeks, providing wireframes and use cases to their development team and overseeing internal user testing. Based on stakeholder interviews, I identified a new feature requirement: a searchable, filterable database of solution profiles. I tasked our team with creating this feature using a Google Sheet plugin and basic HTML. We also modified the site map to place this feature front and center for users to get an improved experience, increasing conversion rates. I managed our research team to interview subject matter experts and practitioners to create 3 quarterly reports and webinars. KPIs related to this content, such as user downloads and user email marketing open rates were monitored over time.